The Triceratops Never Existed WTF? 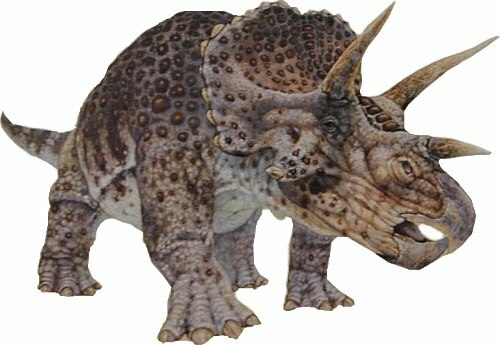 Scientists are saying that the Triceratops dinosaur – you know, the three horned one – was actually a juvenile form of a Torosaurus, the three-horned dinosaur you don’t know. Apparently, dinosaurs’ skulls can shape-shift. The scientists, John Scannella and Jack Horner, believe that the Torosaurus and Triceratops are actually of the same species. According to the scientists, as a Triceratops aged, its horns and frill became more similar to that of a Torosaurus. Short becomes long, saw-edged becomes smoothed and so on. Having them be the same species would explain why there were never any young Torosaurus fossils discovered.